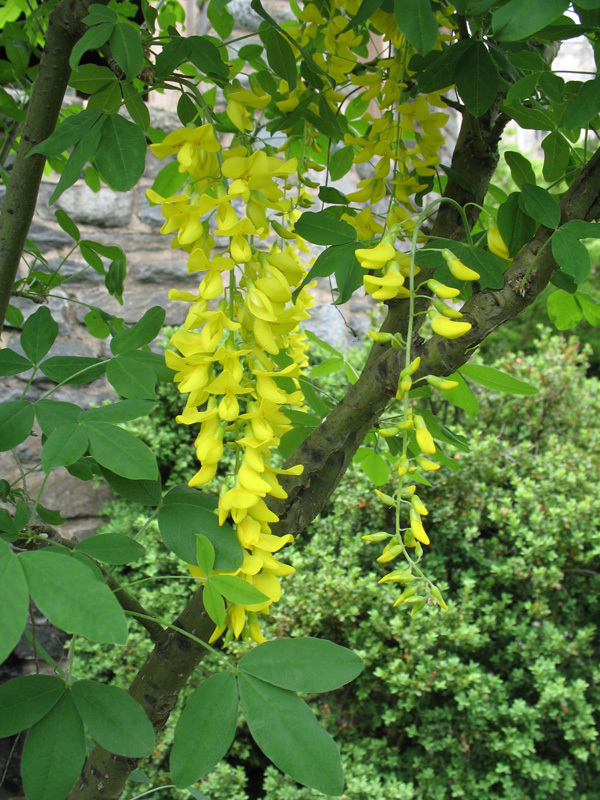 Comments: Inflorescence resemble those of wisteria but are yellow in color. Does not like high temperature and humidity and should be planted where it gets shade in the afternoon in zone 7. Grows best in the Pacific Northwest and where summers are mild. Has trifoliate, medium green leaves that are about 3 inches in length.